[FR] Version française est disponible ici. Kata of Jo no Suburi – In 2015, Daniel TOUTAIN Sensei has developed a sequence of Jo movements based on the 20 suburi of Jo. The sequence was studied in particular during the summer camp in Auray (Bretagne), in August 2015. Later the same year, during a seminar in Giavenoo – Italy-, Daniel Sensei thought a sligtly different version, where the suburi from 6 to 10 are run with a different axis each. 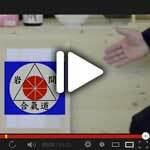 O’Sensei, the funder of Aikido, only left 2 unique « Kata« , the two for the Aiki-Jo : the 31-no-Kata and the 13-no-kata. 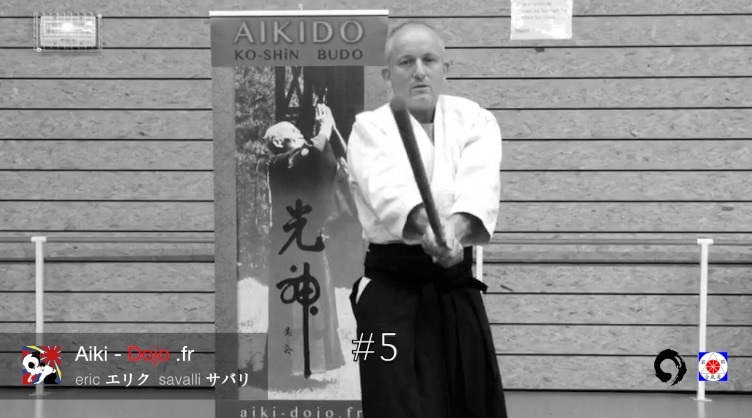 Le cursus de l’Aikido contiendra toujours officiellement que 2 kata. Also we often perform the sequence 13-17 of the 31-no-kata as a 3rd Kata. This one in particular can be done both side, starting from a hidari or migi « Tsuki no kamae » (but not the only one). Why this new sequence ? In regards to the suburi et the kumijo it is quite easy to figure out countless sequences. But thanks to this new sequence, one can train to make flowing movements of Jo no Suburi, performs new connection between them and LBNL, one can look at the 20 suburi from a different perspective. Obviously, the 20 jo-no-suburi must be mastered enough before working this kata. Only the first part of the kata is shown here (1-10). To learn the full sequence, the best is to be thought by Fundamental Aikido – Faa …on the mats!